Spice your week up with The Wild Bill! Pulled & grilled chicken, mozzarella, & buffalo sauce with a garlic ranch base! Hungry for lunch yet? We've got you covered! Stop into Soulshine and treat yourself to one of lunch entrees! Don't forget we're having TRIVIA tonight at 6:30! Happy Easter! Bring the family and join us today for Easter Brunch from 11am-2pm! Bring the family to Soulshine tomorrow for Easter Brunch from 11am-2pm! Pizza? Wings? Or Both? Come cheer on The Preds in Game 5 against The Stars! Puck drop is 2pm! 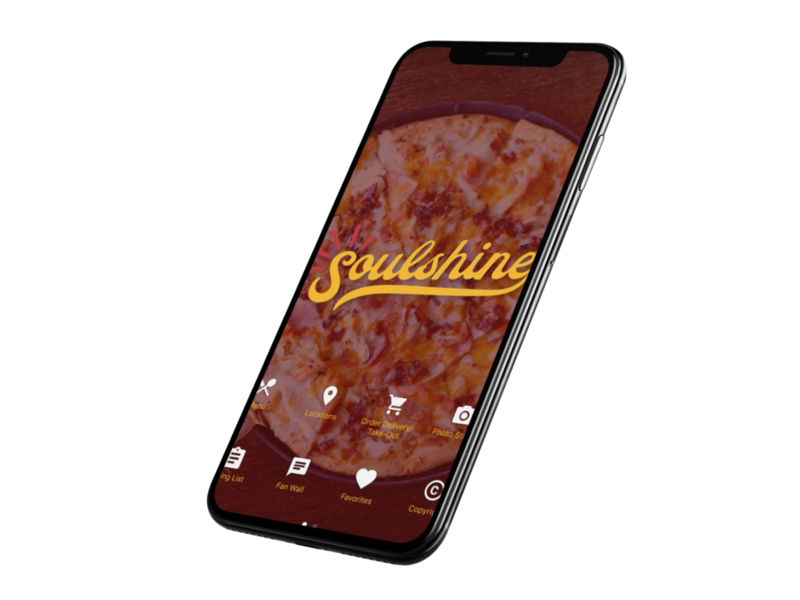 Download the new Soulshine app to your phone and get Soulshine Pizza on demand! Link in the bio! Start your week off on the right foot at Soulshine with Cheesey Monday! $10 Large Cheese or Pepperoni Pizzas ALL DAY! *Not available with any other offers. Get a fresh head start to the week at Soulshine with one of our garden fresh salads! The Kitchen Sink! A Soulshine classic! Italian sausage, pepperoni, chopped tomato, onion, bell pepper, mushroom, black olive, & mozzarella. Stop in and try for yourself! Celebrate National Beer Day at Soulshine with a cold brew! Cheers! Dip in and refresh your SOUL before the week starts back up! Billy Blue's Red Beans & Rice with Smoked Sausage! So good you could eat ‘em with one foot in the fire. Come to Soulshine and try it for yourself! FRIDAY! Get your weekend started at Soulshine with friends, pizza, and live music! John Richards takes the stage at 6pm! Throwback Thursday! This is back before we opened up in @BerryFarmsTN ! It's NO JOKE! $10 Large Cheese & Pepperoni Pizzas ALL DAY at Soulshine!